Shiona Turini (@shionat on social media) has it figured out. For starters, she has a seriously amazing affinity for fashion, accented with a special à la carte knack for creating some sensational beauty moments which, of course, we spot and screenshot regularly while scrolling through our feeds. 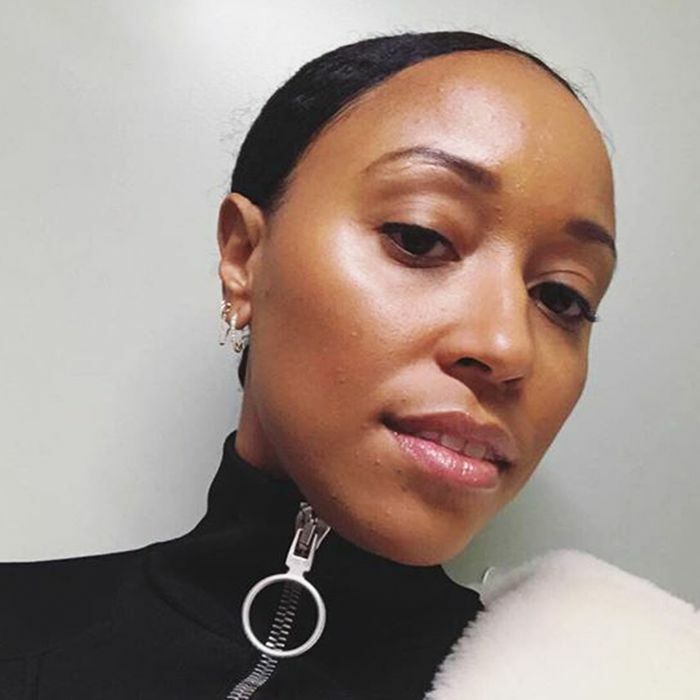 Having been in the business for roughly a decade, the consultant, stylist and costume designer has solidified herself as one of the industry's most sought-after experts when it comes to both fashion and beauty know-how, and she's worked closely with some of the most talented names in entertainment (Beyoncé and Solange Knowles, Issa Rae and noteworthy brands such as Christian Dior, Nike, Teen Vogue, W Magazine, Elle.com, MAC and New York Magazine's The Cut.) Oh, and she also has really fantastic hair. As beauty and fashion editors, whenever we come across someone as equally talented, busy and put-together as Turini, we automatically hanker to know all of their secrets. How does she keep her skin on good behaviour while flight-hopping? What mascara does she use for maximum staying power and minimum flake? And what on Earth is the process like when someone as beauty adept as Turini jumps over to New Orleans for four months for work? 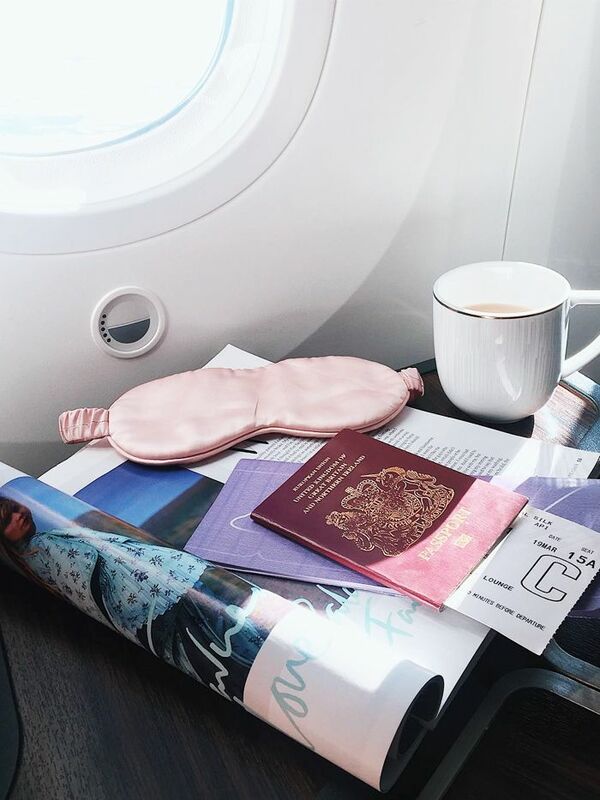 A self-proclaimed island hopper, Turini is no stranger to uprooting her at-home beauty routine and transforming it for travel with fairy godmother–like flair. Since Turini's recently been working on a couple of major projects in New Orleans, we thought it the perfect opportunity to ask the costume designer just how she does it. What did she pack, what does she swear by and what can she absolutely not live without? Ahead, she explains all that and more. Keep scrolling for our exclusive sneak peek into the beauty bag (and mind!) of one of fashion's leading ladies. "I swear by Christine Chin's facials. She's really diligent about targeted skincare and treatment, so I completely trust her line of products. We've been working on my skin concerns for months, and she's very knowledgeable about treating brown and black skin. Some of my favourite products are her Solid and Liquid Gold moisturisers for day and night, the LBF System and the Cell'Gold Cleanser. 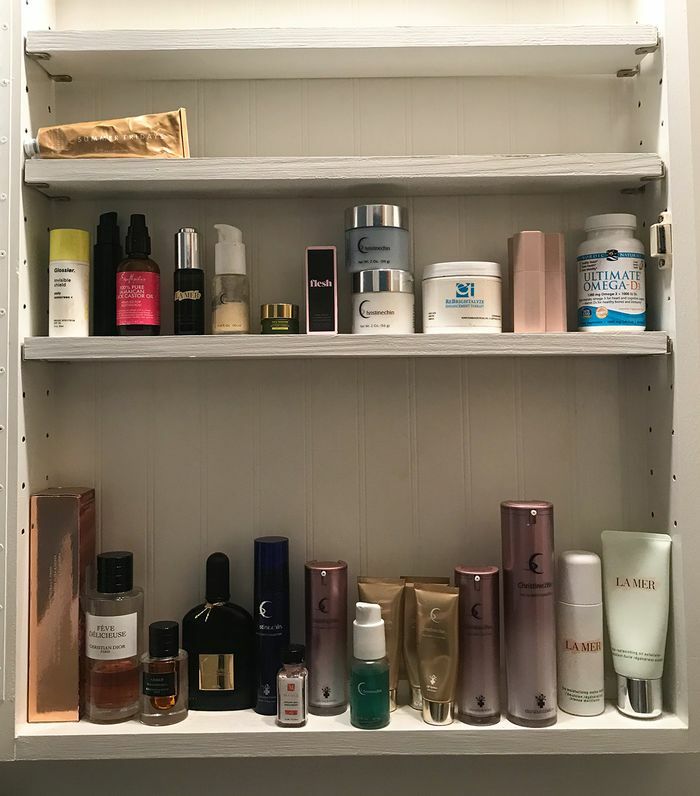 All of her products are on my top shelf. I can't travel without them. Her masks also really help with my breakouts, which are primarily hormonal." "I know traveling with so many masks may seem excessive, but I travel so much, and I swear they help. I just got this one from Summer Fridays, which feels ultra-hydrating when I'm on back-to-back flights. It's also a light exfoliant and leaves my skin glowing for days, and the scent is not too overpowering." "This mask is perfect for a quick fix for my problematic skin. It's gentle and exfoliating and calms my skin down after a breakout. It also has a nice light scent." "Every now and again, I like to use a gentle physical exfoliator when I notice that my skin is dulling. What makes this special is the oil, which keeps moisture in while the fine crystals pull impurities out of the skin." "Whenever I notice my under-eyes look a little tired, I dab a small amount of this serum on my hand and apply it in a circular motion with my ring finger. It's a miracle worker and gives an immediate lift." "This lotion I prefer for daytime. It wears especially well under makeup since it has a matte finish. La Mer is truly the platinum standard in skincare." "Shea Moisture is one of my favourite black-owned drugstore brands. This castor oil is great for locking in moisture anywhere, but I primarily use it on my scalp when I have braids and twists." "Finding a great sunscreen that doesn't turn my face purple or give me a white cast has been quite a journey. Glossier's quite revolutionary sunscreen has been a saving grace for me." "I don't wear a lot of makeup, especially since I'm traveling for work right now. So I only pack the basics and the must-haves I can't manage for four months without." "I love to use and support brands that cater to women of all shades and undertones. Fenty Beauty is an industry pioneer. Walnut, Latte and Suede are the best colours for me. Depending on how much sun I'm getting, I'll use one more than the others. I can also mix them for the perfect shade." "This powder is amazing for setting my face. I like to place it on my forehead and under my eyes for a matte look that lasts all day." "Face and body foundations are great because they are formulated to look like and enhance the skin. I use the shades 4 to 5W. It makes my skin look flawless." "I must admit I don't use highlighter often, but I do enjoy adding a bit of natural glow using the Haloscope Highlighter by Glossier." "This is my favourite mascara because it lasts through long work days and lengthens my lashes with one coat!" "Anyone who knows me knows that 'natural' is my go-to makeup look. I like this eye pencil because it adds definition but can also be subtle." "I found love in Charlotte Tilbury's range. She truly understands that everyday makeup should enhance, not cover. This concealer, which again comes in a range of colours, is brightening and does not get chalky or crease." "This concealer is great for covering spots. I like to let it sit for a minute and dab it into my skin." "I've used this toothpaste for years. It tastes great and leaves my mouth feeling thoroughly clean. And a spiritual healer once told me fluoride interferes with your third eye. This one's formulated without!" "I'm an unofficial Nivea ambassador. I sing their praises to anyone willing (and unwilling) to listen. This body wash is so hydrating. It feels like a cream with a light lather." "Nivea's body lotion is a staple; it would be one of the few things I bring with me to a desert island. I never travel without it. It is moisturising and absorbs fast so never oily or greasy. It's great for various climates." "This is also a signature scent for me. It's light enough for me to wear daily on set." "For my rare evenings out, this is what I switch to." Next up, from £7 to £205, here are the beauty buys that Margot Robbie's makeup artist uses IRL.